Importing an American vehicle is very common and has been going on for many years. The American market offers an exceptional variety of collectible American cars for sale. From the most common models to the rarest specimens, there is a good chance that your dream car can be found in the United States. The process of importing American cars is a well-oiled machine and you can make a real pleasure investment by getting a collectible vehicle whose value will increase significantly as the years go by. The advantages of importing vehicles from the US are threefold: the wide range of choice, and the storage and restoration qualities are great, if you buy from the right sellers and pay the right price. Since the deal of the century does not exist, it's a good idea to say that is important for any buyer to properly evaluate the market they are committed to. The advice and support of the specialists from Fabulous Motors are essential components when making a sensible, confident decision for a successful investment. Our teams will organize the purchase and import of your American car for you, under the best possible quality and security conditions. They will be sure to inform you if a vehicle appears suspect or if a seller is too evasive, or if they are uncooperative. The role of Fabulous Motors is to represent you in the context of an international purchase of a collectible automobile. Our teams are authorized to direct you to the best contacts on the market in total transparency, for absolute confidence. The ads posted on the FabulousMotors.com web site are for vehicles located in the U.S. The vehicles are displayed at the prices posted by the U.S. sellers, Fabulous Motors does not apply any profit margin to the sale prices, and they are merely converted by our software to reflect the current exchange rate that day. In order to ensure full transparency and because import costs vary from one country to another, the prices displayed do not include any costs related to importation, taxes, or customs duties. In order to best inform you of all aspects of importing an American car under the most optimal conditions, the Fabulous Motors staff are available to answer all your questions and give you an exact quote for importing the car of your dreams. Importing an American car with Fabulous Motors ensures you will have an expert on site in order to inspect the vehicle in depth before purchase and shipping. This helps you to be informed of any defects or malfunctions, and also to prepare an inventory before importing the vehicle, in order to best guarantee the comprehensive insurance policies we have you take out for each vehicle imported. By express request, vehicles are systematically placed in a suitable container before being transported by boat to the destination port where they will be cleared customs, and then delivered to their new owners. Did you know that, since January 1, 2014, importing a collectible car is subject to tax relief? In fact, no customs duties are payable, and only a reduced VAT of 5.5% is applied. 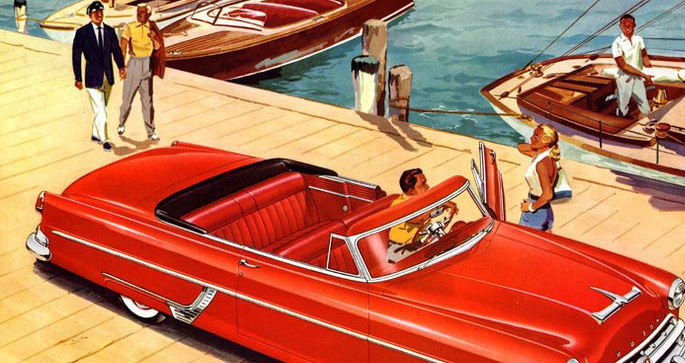 Thanks to Fabulous Motors, importing American cars is still a great pleasure.